Spokesman Atiku Campaign Organization and the Candidate of the Peoples Democratic Party PDP, Abeokuta South Federal Constituency, Hon. Segun Sowunmi has been described as a blessing to his family, the Ogun State PDP and the Country as a Whole. 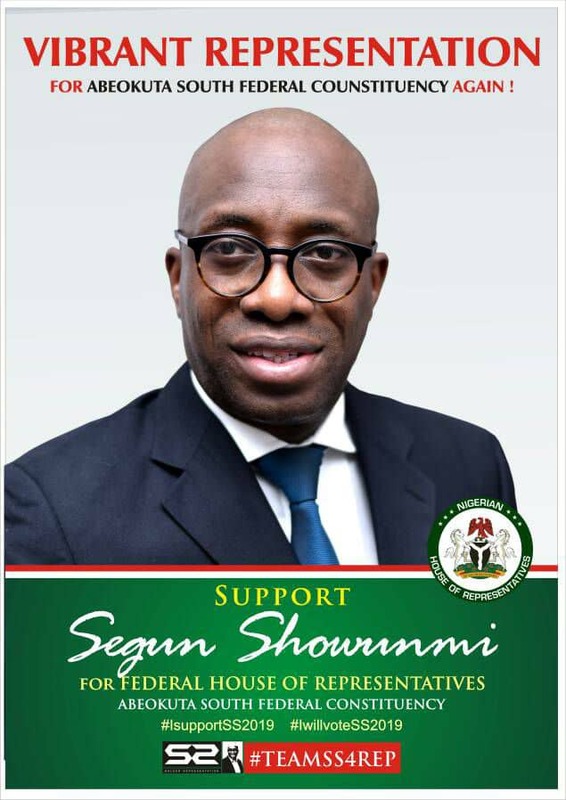 In a Meeting between the House of the Representatives Candidate and the Association of Market Women Across Abeokuta South local Government for Segun Sowunmi for House of Representatives, You have been a Blessing to Your Family, Your Party and Our Dear Nation, Nigeria. May the Good Lord Continue to bless You and Greater fulfillments to Represent the Good People of Abeokuta South Federal Constituency at the Green Chamber, Abuja. In his Response, Hon. 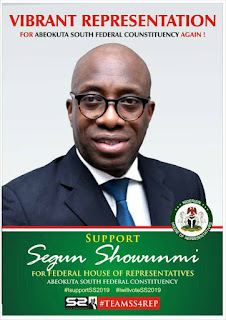 Segun Sowunmi Said Under his tenure if he Elected, he Will implement a Number of Prop Poor Policies including the National Health Insurance Scheme (NHIS), the Youth Employment Programme and the Livelihood Empowerment Against Poverty (LEAP) Among Others for the Women. Sowunmi Promised and Assure them that he Will look at how things Can be Done Easily. Grants and Autonomy Will be taken into full Cognizance. It is a deal that I want to Assure you all on". Being the best Candidate of the PDP Abeokuta South Federal Constituency, he Promised to Touch Lives Across Federal Constituency if Elected. He Said His Priority Is His People And Their Wellbeing, he Is Well Prepared For The Utmost Job At The Upper Chamber Of The National Assembly but all What they Need is to Go to Shop to Shop in their Various Market to Campaign for Others to Support and Vote Senator Buruji Kashamu for Governor, Segun Sowunmi for Rep and Other PDP Candidates In the Coming General Election Under the Umbrella of PDP.